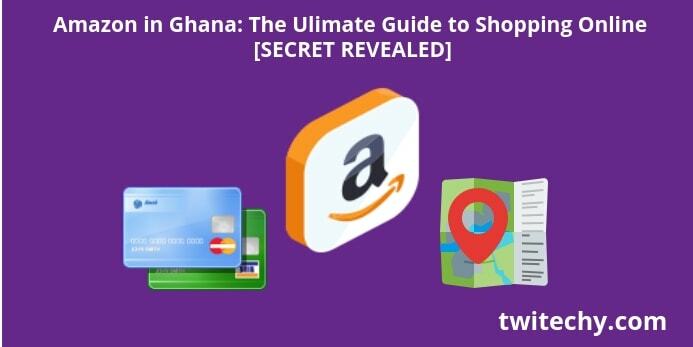 And I’m going to show you why, where and how you can buy products on Amazon and ship to Ghana successfully. You can also order these products too. Yes, you can. You just have to do a few things right. Here are the tips. Receive products in Ghana within 7days or more. Black Friday, is a very popular day for shoppers all around the world. Google trends data to back this claim. Don’t worry, if you don’t know about it. Black Friday is the day after Thanksgiving in the United State. It has its own side of history to deal with. On the other hand, Cyber Monday was a pure marketing term coined in 2005. This day was the online or digital counterpart of the Black Friday frenzy. Since Black Friday was more for physical or brick and mortar shops. On black Fridays, major retailers in the US open very early on this day. As early as overnight hours, just to offer promotional sales. So black Friday is a physical event. Cyber Monday a digital event. However, black Friday’s is becoming an e-commerce in its own right. Especially in the United States. And that is not bad because it only means there will be more discount sales on these two days. And this is now a global phenomenon. Here are some interesting facts you never knew about these days. These days are often touted as the biggest shopping days of the year. Mostly preceding the Christmas shopping season of the year. Do you know Black Friday became popular in the early 2000's? It only became the biggest shopping day of the year in 2001. Have you done any shopping on any of these days before? This is an opportunity for you to buy that product of your dream. In fact, I know a lot of online shopping enthusiast like myself who only wait for Black Friday and Cyber Mondays to buy our favourite products. Who doesn’t love discount sales. Join me to officially introduce you to Black Friday and Cyber Monday shopping. I hope you enjoy this amazing shopping experience. Black Friday and Cyber Monday is said to capture 20 percent of all holiday online shopping. Why wait! Black Friday is still recognized as the best day for deals on TVs, tablets, appliances, and jewelry. So for instance, on this year's black Friday. I’ve planned to order my dream Bluetooth speaker - the JBL waterproof. Not the fake - counterfeit from China you see all around. The difference in sound and product quality is huge. After all one is quality and the other if FAKE. The fifth product on the image below. This powerful dual lavalier mics to add to my YouTube video toolkit. It's great for interviews and live streams. The fourth product on the image above. Click on any of the products below and start your order process now! In fact, I’m going to show you live, how I’m ordering my JBL Bluetooth speaker from Amazon and get it shipped to me in Ghana in this guide. It may look quite overwhelming to you. But I’m going to take you by the hand and walk you through the process. From creating your Amazon in Ghana account to receiving your first product from Amazon. Here's a full walk-through video for your shopping relaxation. This video tutorial below will do justice to that. Over the years, Ghanaians - especially the youth have developed a lot of interest in online shopping. Popular eCommerce sites like Aliexpress, a subsidiary of Alibaba has really gained traction in Ghana. Just about 5-10 years ago, the love for gadgets and tools, "a worldwide phenomenon" hit Ghana by storm. The craze for the newest shiny object - I call them toys. Was and is still prevalent. And also, the rising rate of unemployment especially among the youth meant people needed to find creative ways of earning some income. These phenomenon has taken a different dimension today. It's only getting bigger and better. However, we were all seduced to buying from online marketplaces such as Aliexpress and for that matter China. Mainly because of its prices and its huge catalog products. Yes, you can buy and ship just about everything from Aliexpress. Their prices are the cheapest. And best of all - they would ship to Ghana. No matter how long it takes. On the other side, little did we think about sites like Amazon. Even though they are bigger and could boast of much quality products. They didn’t ship to Ghana. You needed a relative or a friend to either buy or ship the products to Ghana on your behalf. Until lately, around the 4th quarter of 2017, that Amazon started shipping some selected products to Ghana. This is what is called Amazon Global. Amazon’s own way of shipping to over 100 countries it didn’t ship to due to trade laws, tariffs and customs issues. Even with the selected products Amazon will ship to places like Ghana, shipment cost is crazy. Let me not get into Shipping & Import Fees. Look at the JBL speaker above. Amazon would want you to deposit $109.33 as Shipping & Import Fees to Ghana. This doesn't mean you'll be paying that much for shipping and import fees. It is a deposit for Amazon to make a better judgment when shipping your product. A refund of some of that amount may be return to you afterwards. However, be prepared to pay as high and even higher in some cases on the price of the product you bought. That's not very good news. Is it? That is why I'm taking the pain to show you a quick, simple and easiest way of shipping products from Amazon to Ghana. As I've already mentioned, you’ll need an Amazon account. At least to keep you consistent and focused on the platform. A forwarding address for billing and shipping purposes. An internationally accepted payment method. Products you want to buy. These and other things I’ll talk about extensively in this post. So if your intention is to know more about the biggest online marketplace in the world. Then be my guest. Lets dive deeper into our Amazon in Ghana 101 Guide. Creating an amazon GH account is as simple as creating any other user account on the web. Make sure you have an email address. I prefer a Gmail account. Coupled with a good password for your own safety. This Amazon GH account will have your payment details. Meaning your money could be lying there. Provide all the necessary details if available to start your account on a good footing. Let's dive into how you can create your own Amazon in Ghana account from scratch. Use a Gmail account if you have one. Here’s how to create a google account if you don't have one. Do well to remember your password because you’ll need your email and password to login anytime. On the "Accounts and Lists" tab. Click on "Your Account". This will lead you to the account page. Now you can use the forwarding address you created or received from the forwarding company. Learn how to get your address in the tutorial video above the images. This is a US mailing address. This is where your products will be sent to. Normally from Amazon warehouse after your order. This offers you the opportunity to enjoy Amazon’s numerous shipping perks and schedules. You'll be eligible for Amazon Prime. You can also enjoy expedited and or FREE shipping with this address. A forwarding address helps you to enjoy all the benefits as a US citizen on your orders. With or without any additional cost to your order. You'll always find your delivery address on the top left hand side of the Amazon page. Now your amazon account is gradually coming together. You've now added a payment method to pay for your order. You can try a number of payment methods to see what works best for you. Unlike other online shopping sites - Amazon doesn’t accept PayPal. However, most prepaid, debit and MasterCards can be linked to your amazon account. I prefer this prepaid card - UBA Africard. I will talk more about that in the video below. You may link two or more payment method if you so desire. Now, you can start thinking about the products you’ve been dreaming about all this while. I’ve bought from Amazon several times. It looks very simple for me now. You'll need a whole course to learn how to be a guru when it comes to shopping on Amazon. The marketplace is huge and can be overwhelming. It may lead you into a rabbit hole if you don’t take care. A point of no return. But anyone can use it. Whether you’ve used the forwarding/mailing address from the Ghanaian company or another company such as Viabox. When your order is sent to this address which is normally a physical warehouse. Your order is received and recorded as fulfilled by Amazon. Here, your dealing with Amazon looks almost done. Except that, you find out about an anomaly and request for a return. Either than that, the forwarding company takes over from there. The next action is to ship to Ghana. You’ll have your Ghanaian address with the forwarding company through documentation or registration. Your order may be consolidated to reduce the size and cost or otherwise. The decision is solely yours to take. This Ghanaian company, for instance, may have a dedicated shipping procedure specifically designed for Ghanaian shipments. At this time, you may have agreed and paid for the shipping cost. This may or may not include customs duties. This I’m very sure the Ghanaian firm has taken care of already. So if you’ve gone past this stage, you should be welcoming your order within the agreed stipulated time. If you’ve followed the prescribed process. You have both your shipping and customs fees handled by the forwarding company. Then you can now receive your order. Shipments may take between 3-21days with respect to when it was shipped from the forwarding warehouse. You may decide on when to receive your order by paying more or otherwise. This is the step that causes many problems when it comes to shopping online. There is very little you can do in this regard. I may be recommending one of our. But take this advise with a grain of salt. People cannot be trusted anymore nowadays. However, until we’ve tried them out. We cannot say much about the service they're rendering. What has been your experience on various eCommerce platforms? Has it been that easy? Your comments is my fuel. Tell us about your views, thoughts and aspiration.